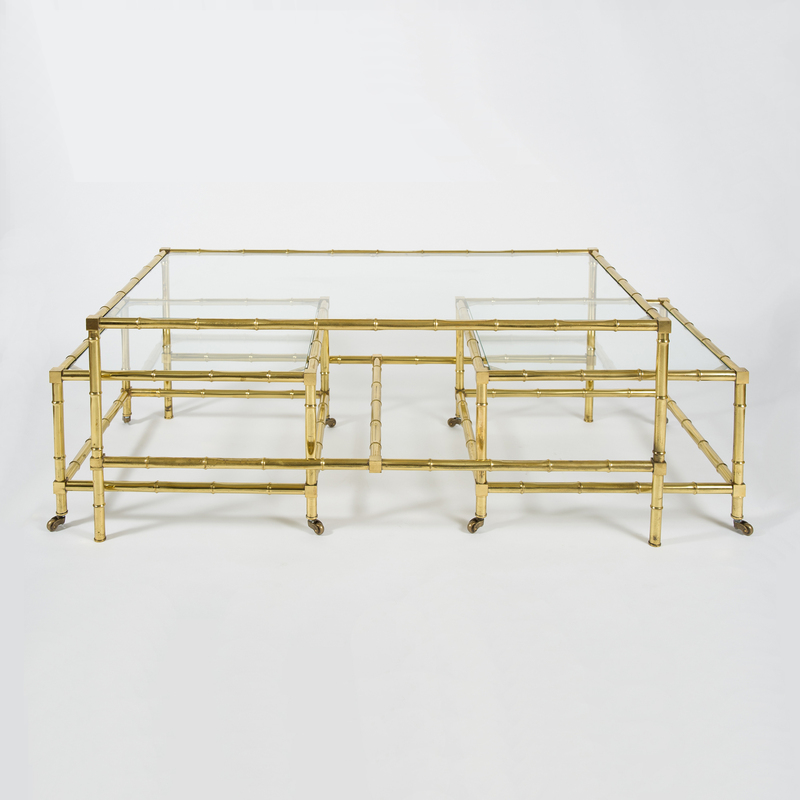 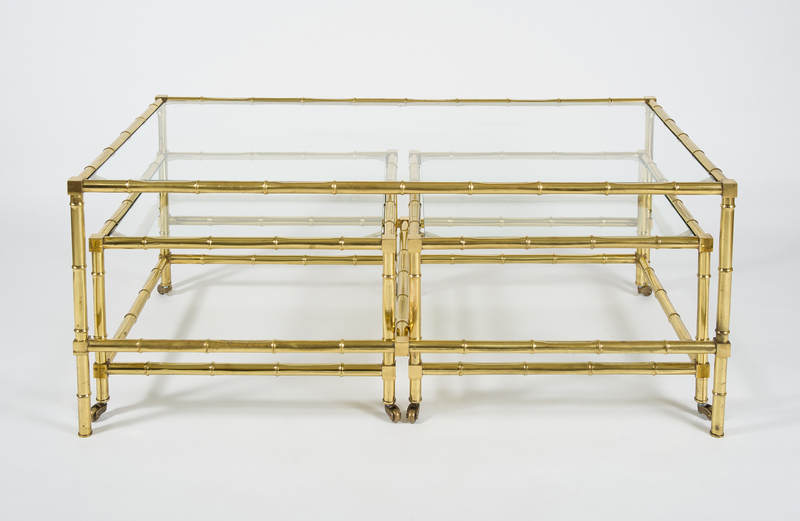 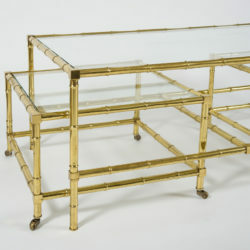 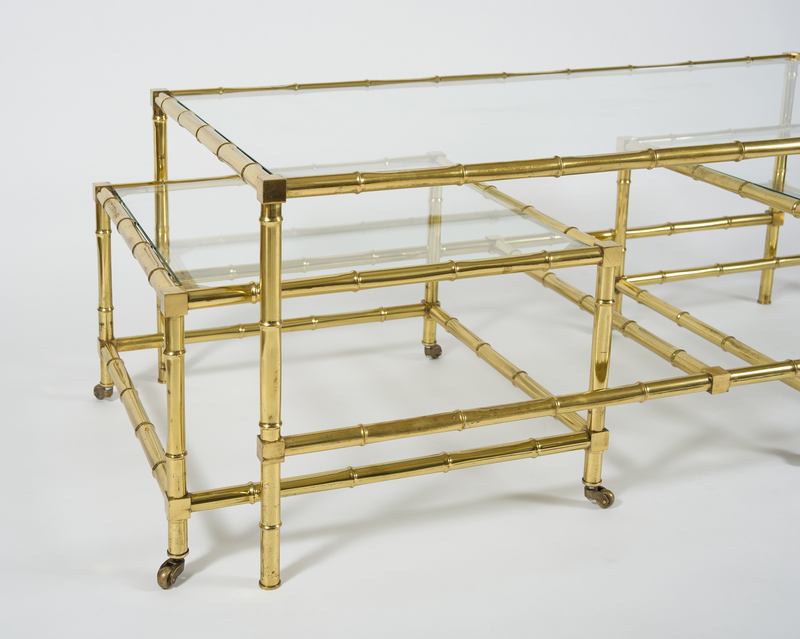 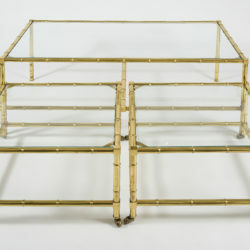 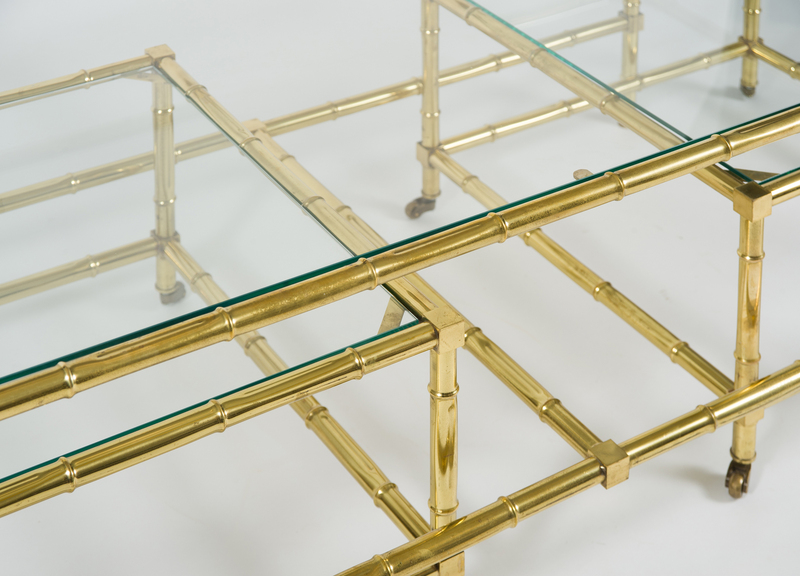 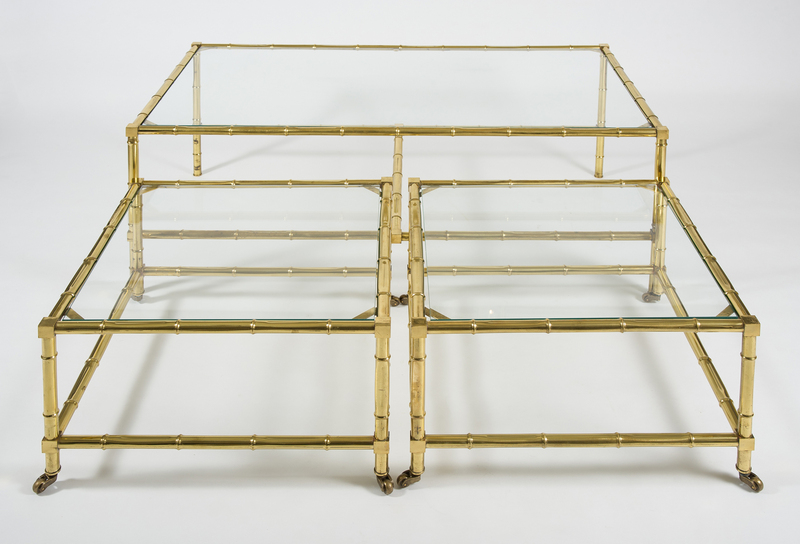 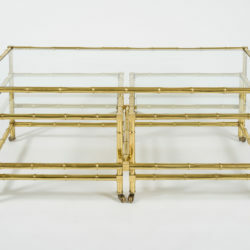 Practical set of tables with decorative brass bamboo frames and clear glass tops. 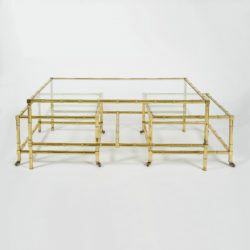 Single large coffee table with two smaller side tables fitting neatly underneath. 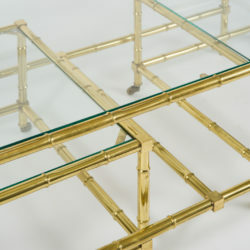 Side tables have wheeled feet to make them easy to access and store away.